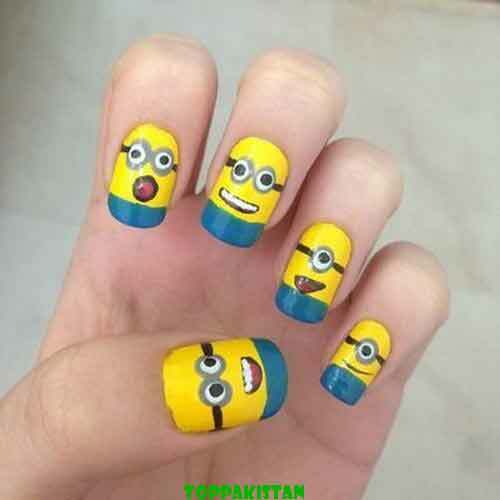 Many girls are looking for easy nail art designs, nail art designs or Nail Art is a very simple concept- designs, art, techniques, or tactics, which used to decorate the fingers and toe nails, is called nail art design. When, we practice these all tactics or techniques on wedding occasions, then these techniques known as wedding nail art designs. No doubt females are so conscious about their beauty and always try to adopt the most up to dated fashion and styles. 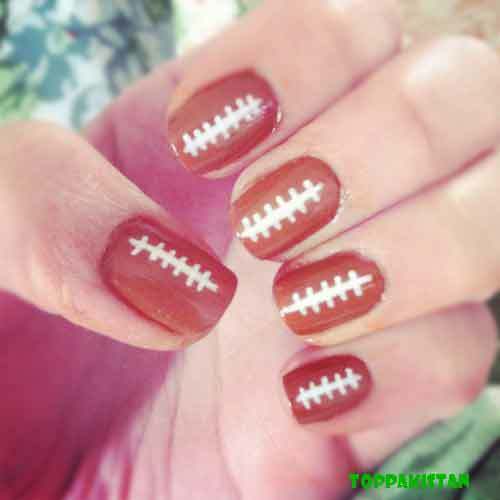 When, we talk about fashion, then we need to remember that nail easy nail art designs are considered to be the significant area of fashion and beauty. You may easily see the latest trends on the catwalk of the best designers. 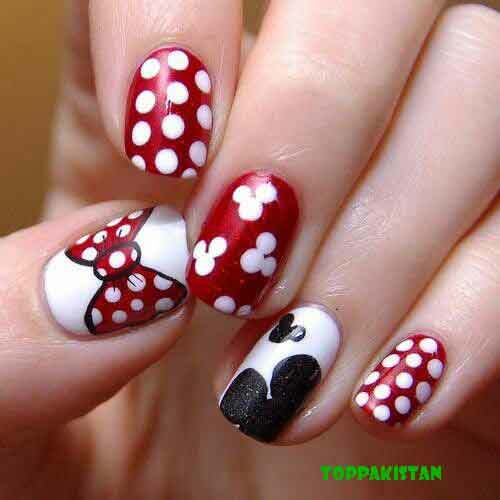 Hollywood stars and celebrities also often showcased the latest trends of easy nail art designs in the red carpets. 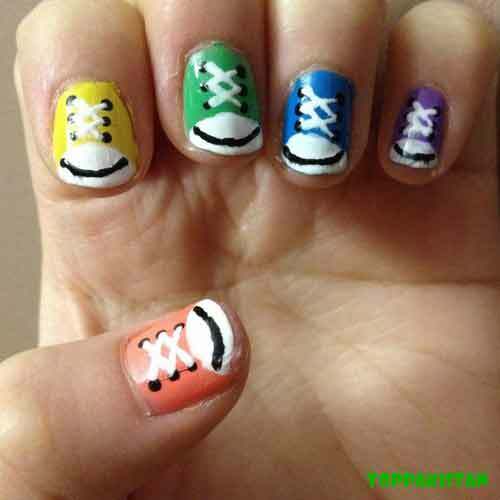 So, you need to be creative with your nail art design. 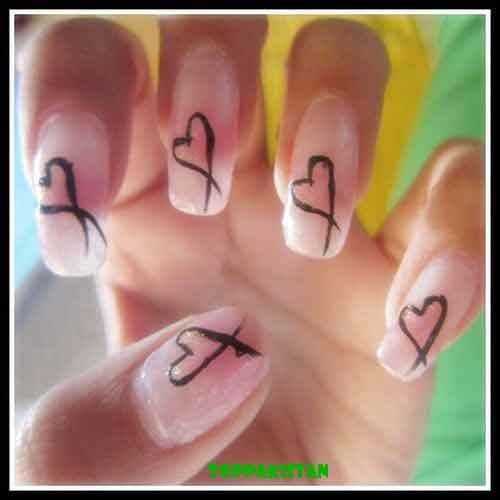 There are number of nail art tools and ideas through which you may easily make your nails more attractive and glorious. You can easily paint beautiful designs on your nails with the help of nail polish. Glitters, stickers, semiprecious stones, and rhinestones, etc all are used in making nails more attractive and beautiful, even you may easily match them with your shoes, clothes, and other accessories. There are various designs and colors available in the market, which best suits for different occasions and events like wedding, Christmas, Halloween, and Valentines day etc. You also need to be choosy in this regard. 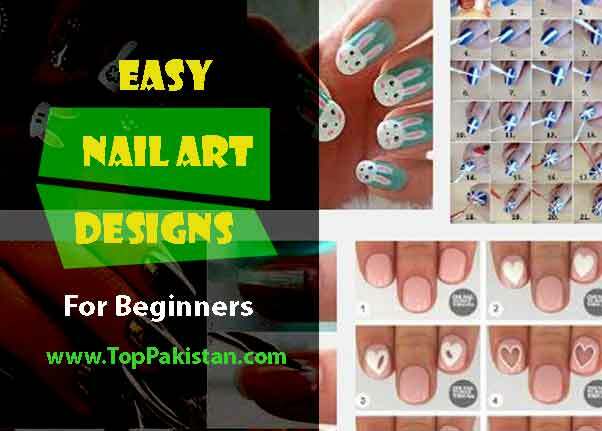 As Top Pakistan is famous for promoting new fashion trends so below are some easy nail art designs for beginners to do at home in 2017. For Christmas you may coordinate with red and white color theme along with using a fine brush to paint Christmas tree, candy canes, stars and holly leaves, etc there. For Halloween, spooky effects on nails by painting skulls, vampires, and skeletons would be a great idea. On the special event of your wedding or valentine day, you need to make your nails more romantic and gorgeous by decorating them with red glitters, 3D heart stickers, or by semi-precious stones, etc. Talk about everyday use of nail art designs, you can deck up your nails with flower based or a puzzle based themes by matching your personality, clothes, and other accessories. Airbrush painting is also one great way of creating an awesome nail art design. No doubt there are a number of ways and methods through which you may easily make your nails more attractive and beautiful, such as by using different designs, colors, and other nail art tools. You just need to understand this concept that, which nails art design, will be a useful for you on this occasion. 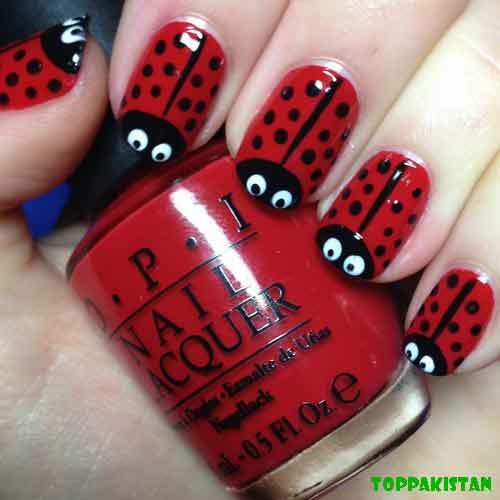 For more Nail Art Designs Click here.